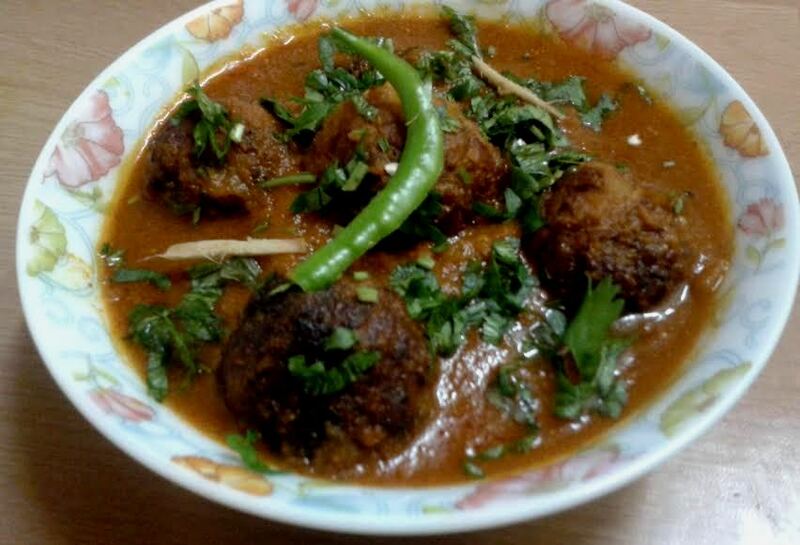 Kaddu ke kofte do not sound that good but are tastier then lauki or any other vegetable. People often don't like kaddu so this is a good option for them. These are easy to make without any extra need of ingredients. I hope you all like it and try at home sure. जब प्याज़ सुनहरा हो जाये इसमें हल्दी पाउडर के साथ लाल मिर्च ,धनिया पाउडर डालें और २ मिनट लगातार चलाते हुए मसाले को भून कर इसमें टमेटो की प्यूरी डालें। . Peel,wash and grate the pumpkin. Heat 1 tbsp oil in wok add grated pumpkin and stir continually add grated potato, gram flour, salt, red chili powder and cook it for 10 minutes on medium hot heat. Make the koftas with the mixture. Heat the oil in a wok and fry them golden. Now heat the oil in another pan or same pan. Add methi dana, clove and green cardamom, pop them, saute the ginger, garlic paste and then fry the onion paste till it turns golden. Now add dry spices along with salt and cook the masala for one minute. Add tomato pure and 1/4 cup water. Cook the masala till the oil separates. Add water then cover and cook for 10 minutes. Open the lid, add koftas and garam masaala, stir 2 minute and switch off the gas. 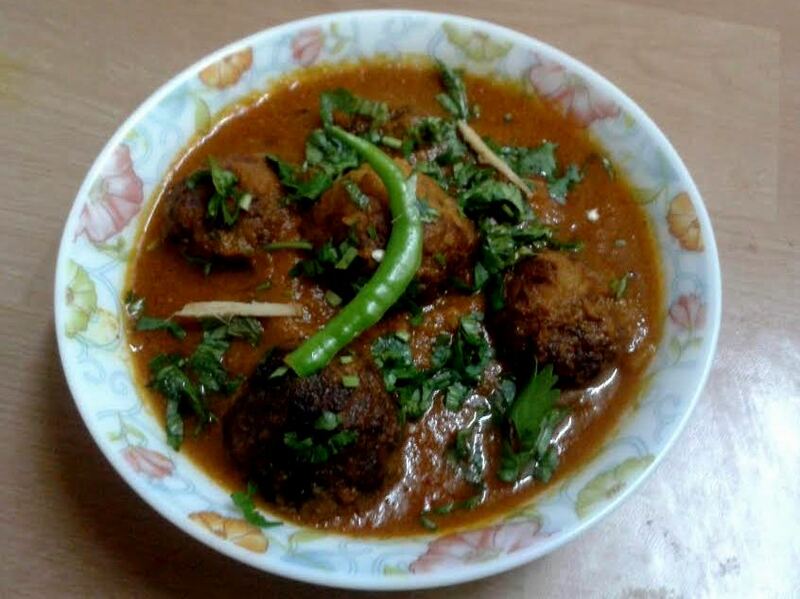 Garnish with coriander leaves and serve with chapati or rice.